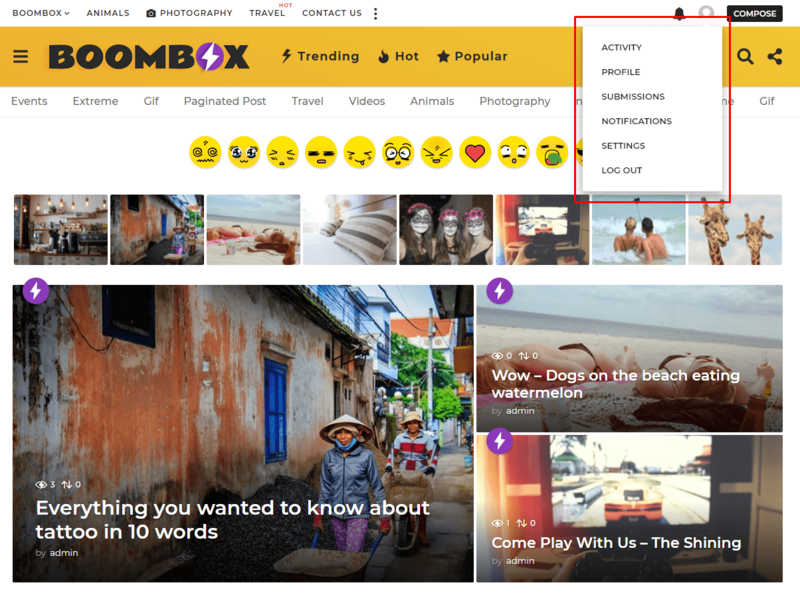 Boombox theme also supports other plugin associated with this one: rtMedia for WordPress, BuddyPress and bbPress. 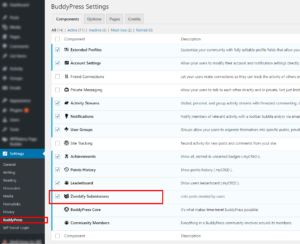 It allows to add albums, photo, audio/video files to your buddypress profile. 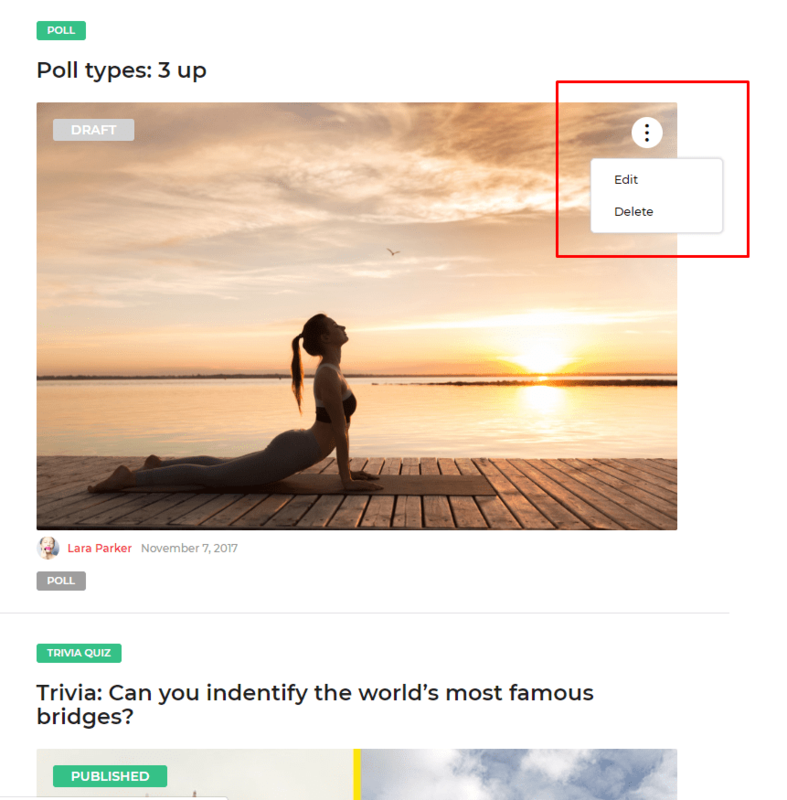 For more detailed information, please visit these two pages: Wpmudev.org and Buddypress.org pages. 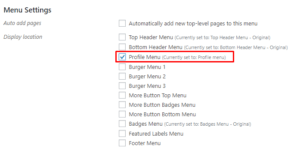 By using BuddyPress plugin you can create log out and other profile menu elements. 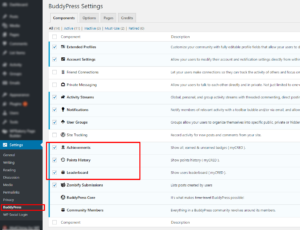 Go to WP admin ▸ Appearance ▸ Menus and create new menu and choose from BuddyPress section what pages to show in that menu. 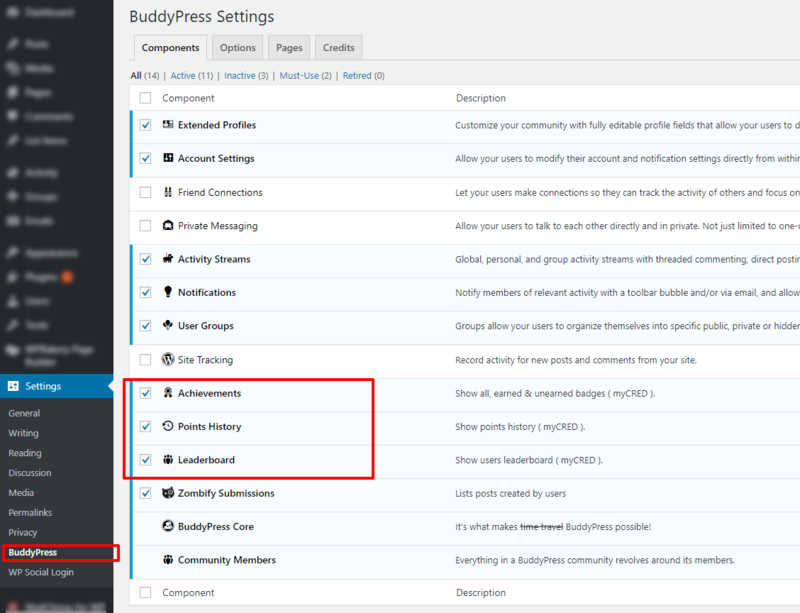 In case if you’ll not find BuddyPress section in available sections list, then you’ll need to go to WP admin ▸ Appearance ▸ Menus and click on the “Screen Options” button on top right corner and make sure that BuddyPress is marked. 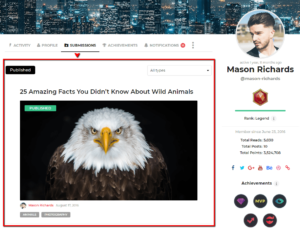 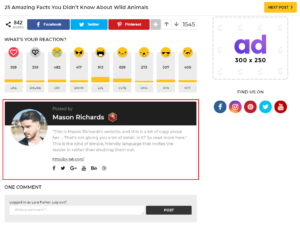 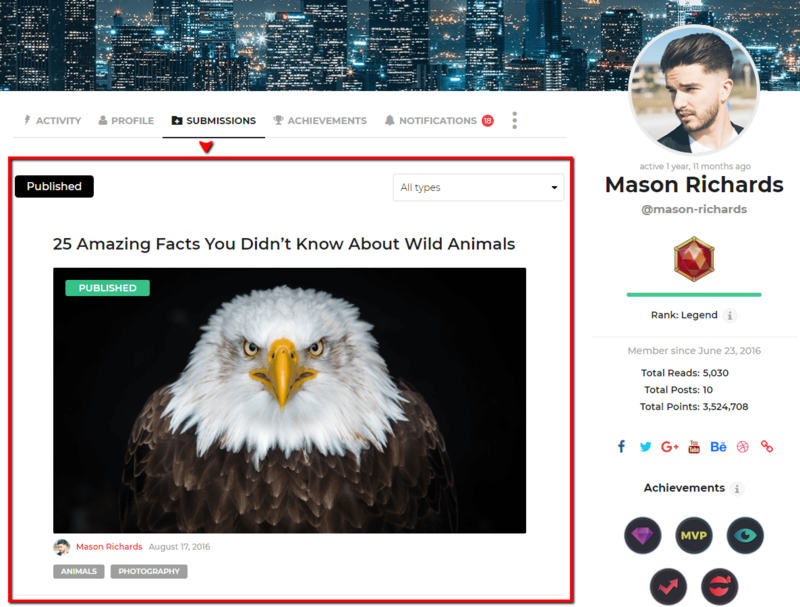 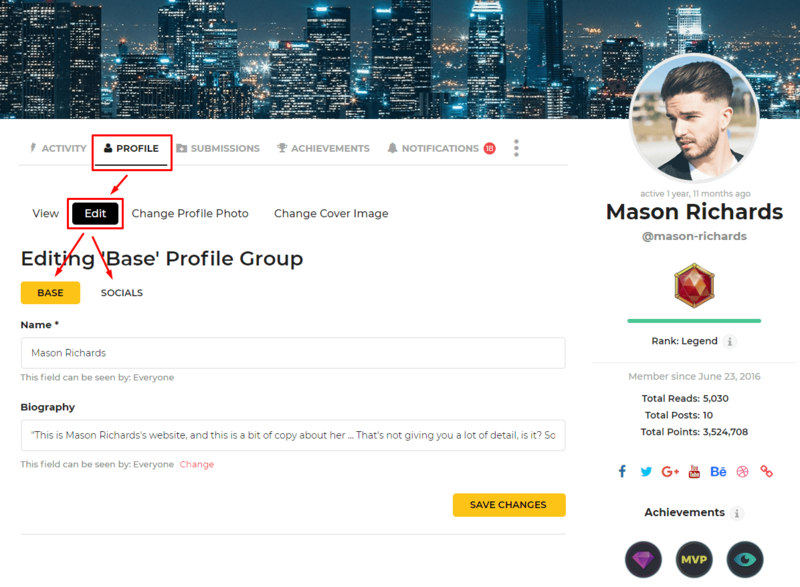 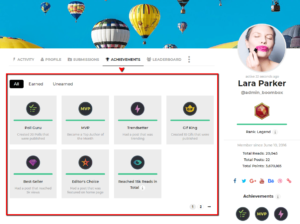 By activating Extended profiles component you can customize standard author section and add ability for users to add information about their social media accounts and website. 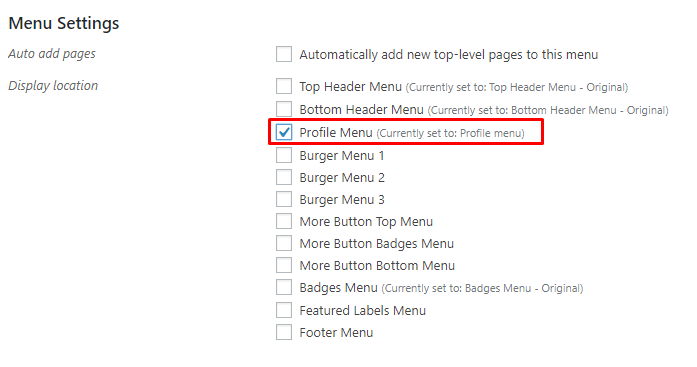 After this component activation, in Users part of WP admin you will find new section Profile fields where you can add necessary user information fields. All created field groups will be shown for users in their BuddyPress accounts, under Profile section. 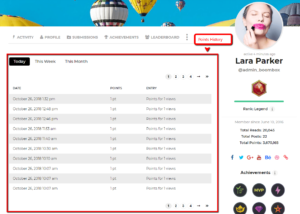 Here is list of the names for social media websites, which you must use as new field name, if you want to show their icons in post author section. 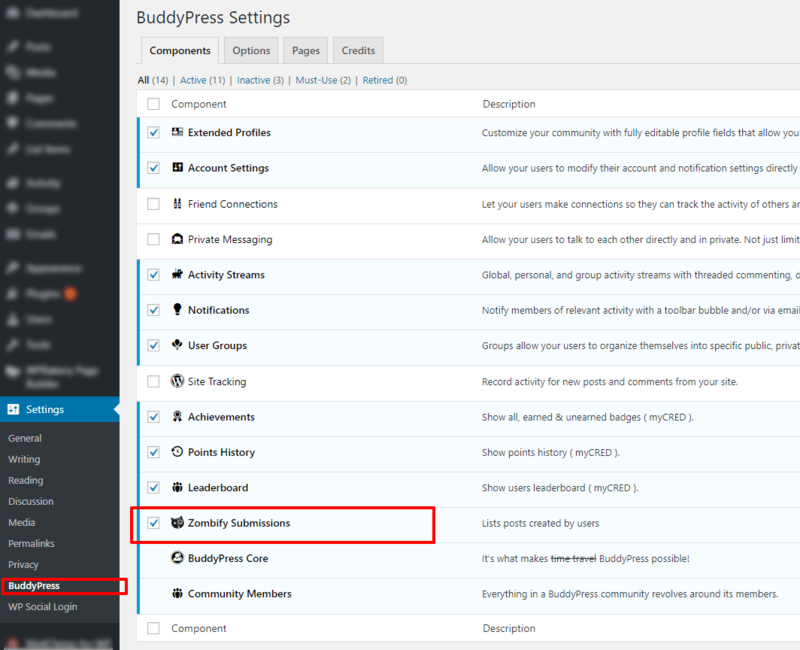 In case of using the Zombify plugin, the system will automatically add Submissions tab in BuddyPress account of the users. 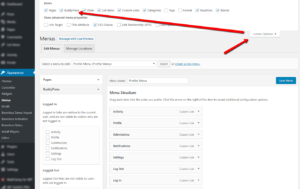 From that section posts with draft and pending status can be edited or deleted by users. 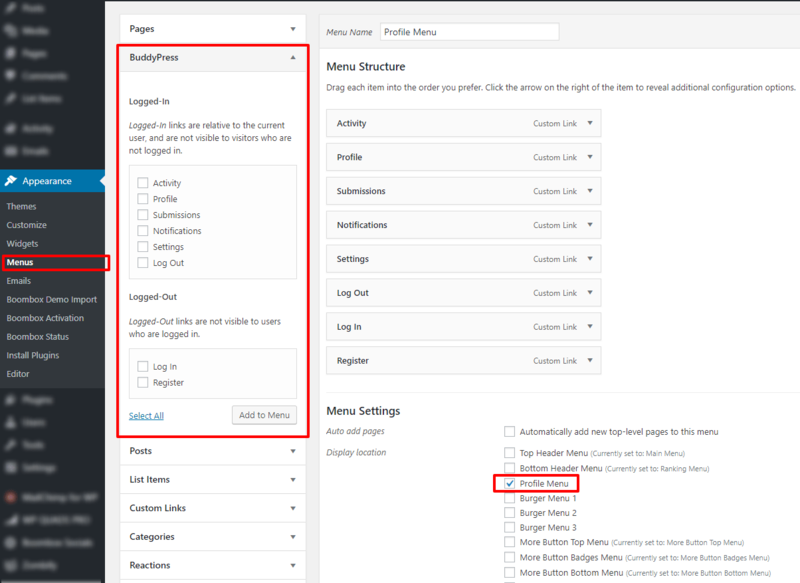 If you’ll need to disable that tab, please go to WP admin ▸ BuddyPress ▸ Components and uncheck the “Zombify Submissions” checkbox. 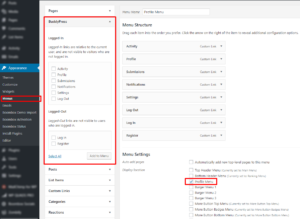 More detailed information about Zombify plugin can be found here. 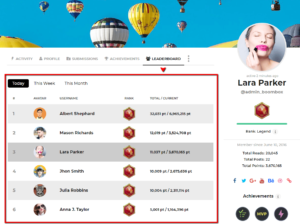 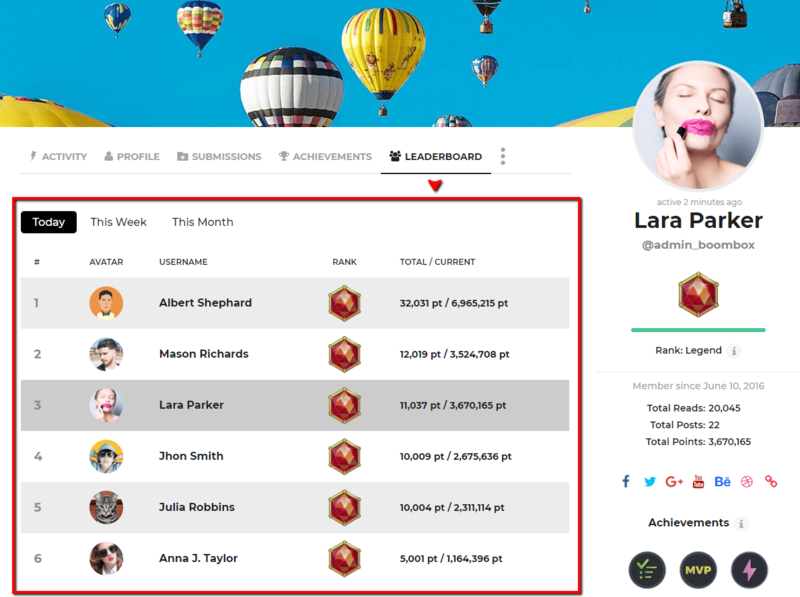 After installing and activating MyCred plugin, system can show 3 tabs in BuddyPress account of the users: Achievements / Leaderboard / Points History. 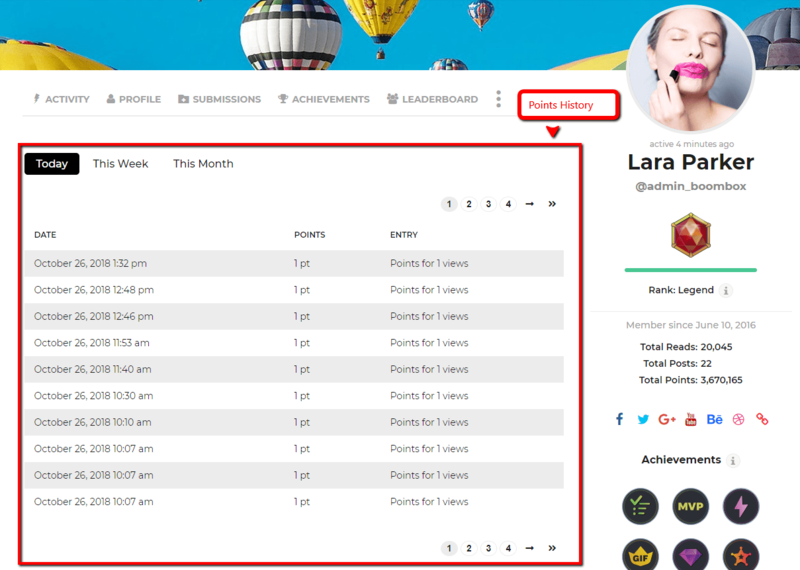 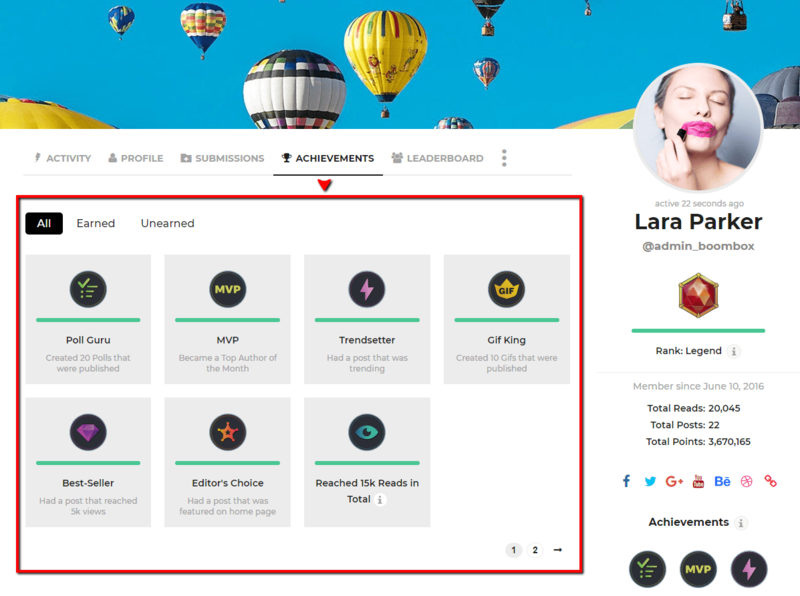 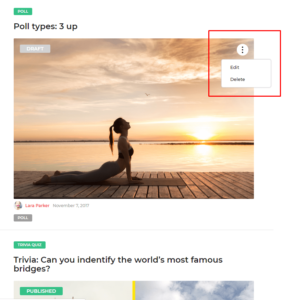 To activate that tabs you’ll need to go to WP admin ▸ BuddyPress ▸ Components and mark the checkbox for the “Achievements“, “Points History“, “Leaderboard“. 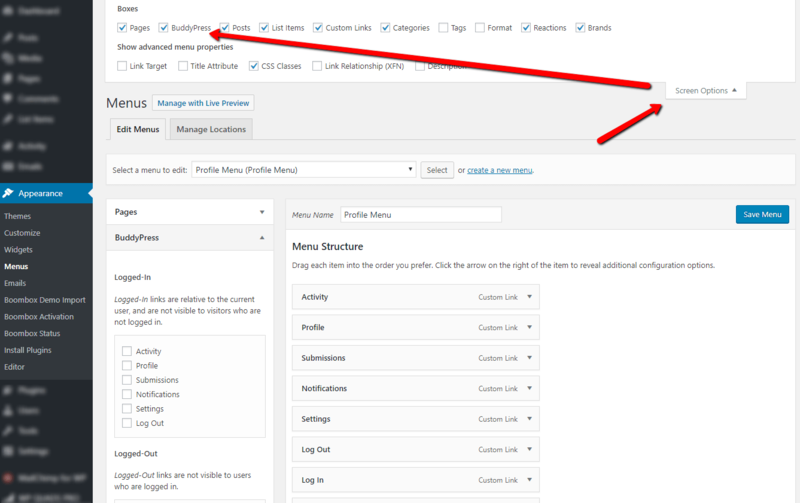 More detailed information about MyCred plugin can be found here.